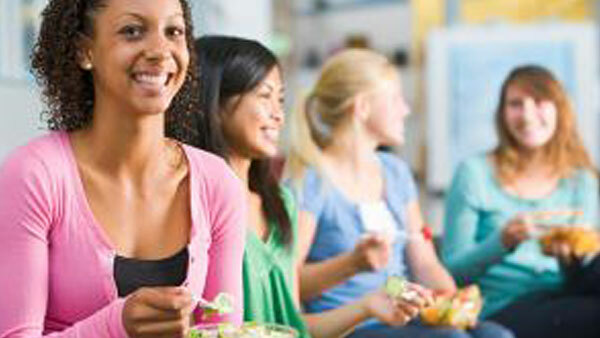 Getting students to buy in to your meal plans is the holy grail of college and university of foodservice. Currently, about 45% of students participate in their school meal plans, according to Foodservice Director’s 2016 College & University Census. So, how can you nudge that number upward? Understanding the specific needs of Generation Z consumers is a good place to start. Offer a robust beverage program of coffee and smoothies. Some 38% of Gen Zers prefer smoothies over other drinks – higher than any other generation, according to Technomic’s 2016 Generational Consumer Trend Report. And 22% of this group now chooses regular hot coffee, up from just 14% in 2014. Operators have it right: Local sourcing is the biggest food trend for foodservice directors right now, according to Foodservice Director’s C&U Census. And for good reason: Some 68% of Gen Zers are more likely to buy items called out as “local” and 83% are more likely to choose foods labeled “fresh,” according to Technomic data. Today’s college and university students are always on the go. They demand online ordering and want food that tastes just as good to-go as it does for dine-in. Some 46% of Gen Zers say high-quality packaging drives their take-out business, Technomic’s generational study found. Be sure to choose to-go packaging that keeps foods contained and at the proper temperature. With many dining halls switching to trayless operations and a variety of eco-friendly initiatives on many campuses, students have come to expect sustainable options. Some 58% of Gen Zers are more likely to buy sustainable versus conventional items, Technomic found. Stock eco-friendly disposables and make the student population aware of your efforts via social media and dining-hall signage. More than any other generation, Gen Z craves customization. Boost sales with a variety of customizable offerings like noodle bowls, salad bars, DIY pizzas and more. Menu a mix of health-halo ingredients and indulgent items, as well as a combination of familiar flavors and novel ones. Some 38% of Gen Z consumers—more than any other generation—are drawn to restaurants that offer healthier options, according to Technomic. Follow transparent menuing practices and be sure to offer plenty of better-for-you choices. Gen Z’s non-stop lifestyle means non-stop eating. This demographic snacks regularly. Cater to them by offering portable, grab-and-go snacks throughout campus. Looking for better to-go packaging? Vio® is a first – the first expandable polystyrene (EPS) foam cup on the market that biodegrades*. When it comes to green products, Vio is the lowest cost disposable cup of any kind, and it offers all the advantages of traditional foam with unique benefits that students really go for. Check out Vio’s complete line of biodegradable* cups, food containers, lids and straws as a great option to present your offerings in the best possible light.